With all the revisions, additions, and deletions we strived to honor the original format as conceived by Fran Smith, Brian Tucholke, and all the original contributors. The guide when it first came out was considered by many, to be the best of its type in the country and the impressive quantity that were printed, bears this out. In fact, much of the information in the original edition required no alteration and has been reproduced in this revision. However, one major change is that the guide is not digitally formatted. The original editions were of the cut-paste and printing plate type that, while being the best technology of the day, severely limited ones options for revisions and reprints. Now, future guides can be revised and sent electronically to printers. 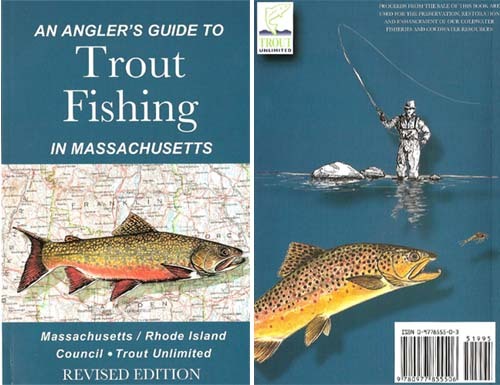 Most importantly, the ultimate purpose of this book is to provide funding so the chapters and council can pursue our interests in our cold water resources and perpetuate our fisheries.